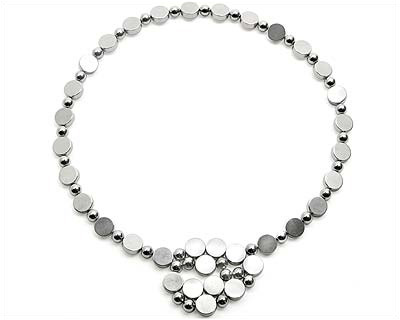 Bubble Necklace DY-006 [Bubble Necklace DY-006] - $34.95 : NewDaVincis.com!, Great Innovative Products, Gadgets and more. 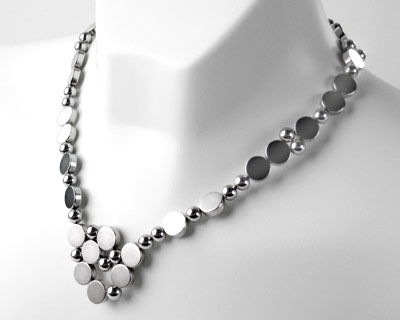 The bold design of the Bubble necklace combines magnetic disks and spheres to create this elegant decorative look. Magnetic necklaces can easily be adjusted to any size by removing extra pieces and are easy to open and close without the hassle of clasps. Create a bracelet, a choker, or experiment with your own designs by adding into the necklaces with some colored Extra Sets (see below). Go organic with your designs too, don?t be afraid of mixing and jumbling the arrangements to make a distinctive organic form. 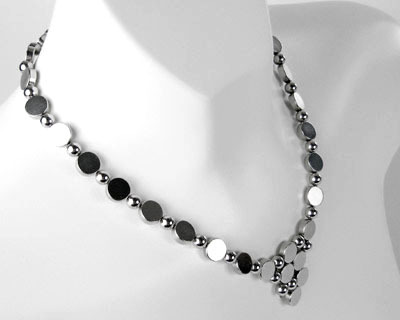 Bunching up several pieces on one end creates an instant pendant. 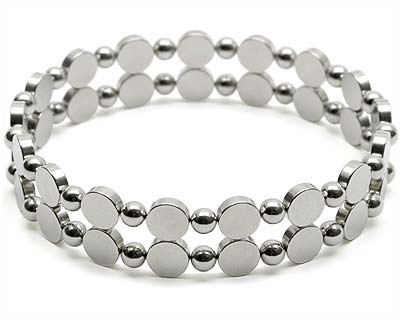 The powerful magnets can also be used as a pin less broach. No need to pin anything through your clothing anymore just places a few Permanent Magnets on the inside of your shirt and some more magnets outside the shirt for a compliment to the necklace.